Do you live in the Devon part of the Blackdown Hills AONB? Devon Greater Horseshoe Bat Project is looking for people to help detect bats in their garden or land. Did you know that there are 16 species in Devon! Bats can be difficult to monitor, as they come out at night and make ultrasonic noises (often out of our hearing range), which means that sometimes we don’t know that they are flying around above us. We are aiming to get a better idea of how the different species are distributed around the county. To do this we need your help. Every summer since 2016 we have been running the Devon Bat Survey, a huge citizen science programme spanning the width and breadth of the county. The survey involves members of the public borrowing one of our special bat detectors and putting it in their garden, field or on a neighbours land (with permission of course). The detectors record all of the noises around them (not just bats, but also birds, crickets and other small animals) and we can then interpret the sound files to determine which bat species were present. The detectors are available from a number of places in the county, and the Blackdown Hills AONB team kindly host one of the kits in Hemyock. We really need more people in the Devon part of the Blackdown Hills to take part. Please do not turn up at the AONB offices without having booked as the detector will likely not be there! 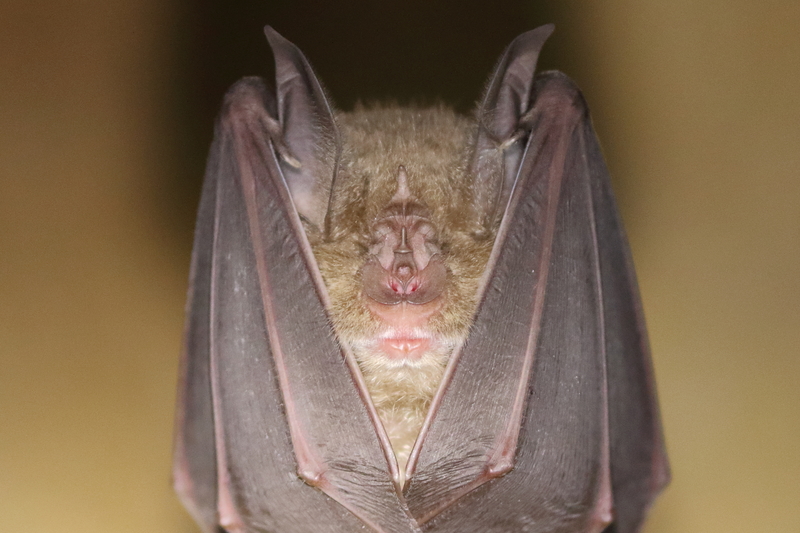 Devon Greater Horseshoe Bat Project works with partners across the county to secure the future of the greater horseshoe bat. Ensuring the habitats needed are present, that our bat knowledge is better and that the people of Devon know about the species and so are better able to look after it.